Please join us for a incredibly rare opportunity to sit and restudy the craft with, and of, an actress and a film we effortlessly describe as Masterwork. A screening of Wong Kar-wai’s In the Mood for Love (2000), will be followed by a discussion with Ms. Maggie Cheung. A/P/A has a limited number of complimentary tickets available, which will be reserved on a first-come, first-served basis. Please email apa.rsvp@nyu.edu to make a reservation for up to 2 tickets. For more info, please visit www.apa.nyu.edu/events. 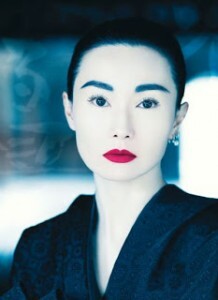 No user commented in " Film: Masters, An Evening with Maggie Cheung "